Ministers have announced funding totalling £2.5m for companies, individuals and academics to 'make travelling safer, quicker and more reliable’, including a £1m challenge fund. The Department for Transport (DfT) has launched a new round of competition for Transport Technology Research Innovation Grants (T-TRIG) worth approximately £700,000 and announced a new Innovation Challenge Fund worth around £1m ‘to invest in development of promising technology ideas’. Officials also revealed the 33 winners of T-TRIG grants worth a total of £833,000 from an earlier round. The DfT said the Innovation Challenge Fund ‘will support the development of technologies, methods or processes to help meet DfT policy goals’ with further details and information on how to apply to be published on this webpage ‘in due course’. 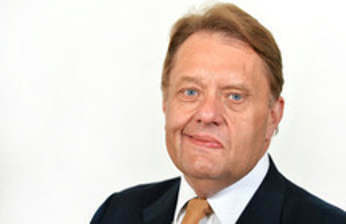 Transport minister John Hayes said: ‘This Government is committed to delivering a much better transport system, and innovation is a vital part of that. We are already making headway and expect to see more smart ideas and technologies coming from this funding. T-TRIG grants cover all forms of transport and help develop high quality ideas from concept to prototype stage, officials said.